Dinner with Yisroel Werdyger? Although his debut album “Bayis Neeman” has just been recently released, it is already a staple in my house. His songs grace my Shabbos table every week and – on weekdays – every time we get in the car my 9 and 10 year old kids are sure to start shouting “put on Yisroel Werdyger!” My 4 year old quickly chimes in “yeah, put on Sroel Waldinger!” The 16 month old, ever trying to imitate her older siblings excitedly smiles, waves her arms about and yells “ooooooh”. Besides for his prominent position in my family’s music life, for me personally his album is an ear-pleaser time after time. From the iron-clad selection of songs to the brilliant arrangements and superior sound quality – this album in every way satisfies the picky musician in me. In addition, I was absolutely blown away by what I feel is the first truly successful blend of a Haimishe style with a mainstream quality production. I was amazed by the fact that none of the heimishe, chasiddishe feel was lost in the making of the album. 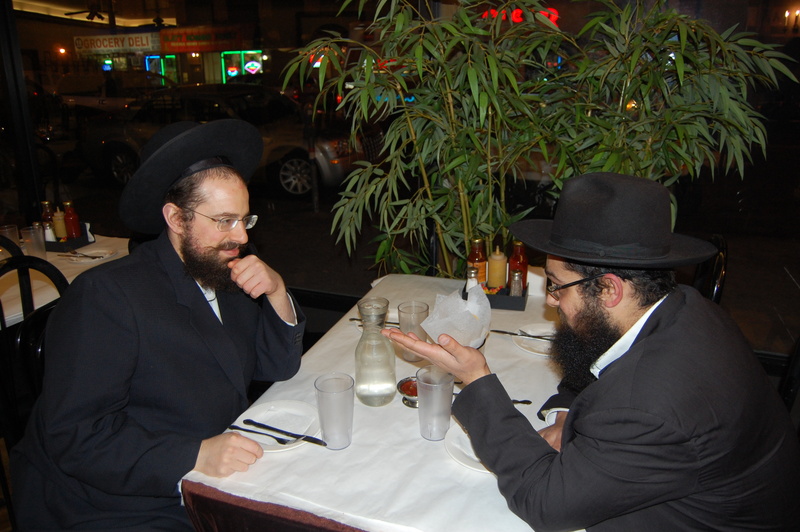 So needless to say, when the opportunity came up to sit and discuss life and music with Yisroel Werdyger over dinner, I was very excited. I must say that he was not at all what I expected. 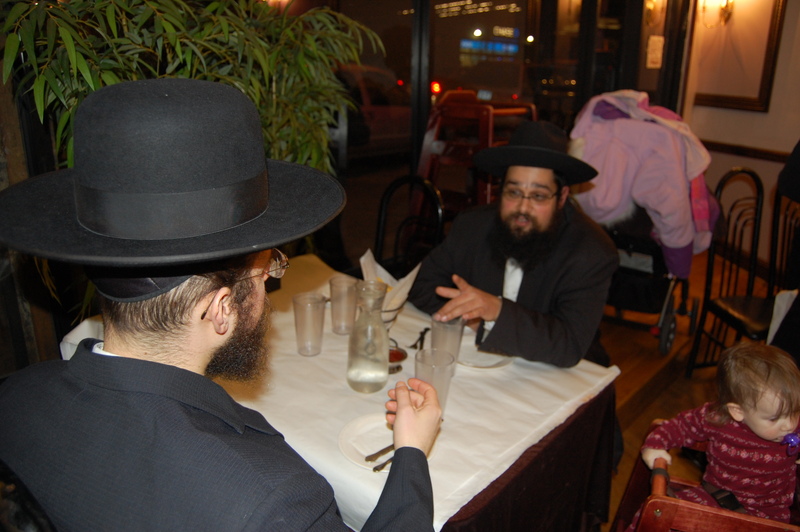 I arrived at the Boro Park restaurant a few minutes early. I must admit I was a touch nervous while waiting for him, but that all disappeared as soon as he entered. His smile and demeanor were so warm that I was instantly put at ease. He was so easy to talk to that honestly it felt more like old friends from Yeshiva schmoozing than an interview with a big star. He is in every sense of the word a true mentch. Genuine, warm, kind, well-mannered, soft-spoken and – to my surprise – a little bit shy. I thought I was going there to get an interview, but I ended up with leaving with something much more valuable – a really awesome new friend. Luckily for the JMR reader, I managed to get an interview as well. MtS: In your Oorah track we heard a clearly amateur performance that prompted many to wonder if you had a future. Now, a year later, you’ve released a CD with one of the finest and most polished vocal performances we’ve heard in a very long time. Your voice is confident, your projection is strong, your intonation is excellent, your rhythm impeccable. I think we’re all wondering…what happened in between that changed the inexperienced amateur into what many believe is the next big Jewish music superstar? YW: I want to start by saying that I am very thankful to the Oorah, because they gave me a truly wonderful opportunity. With that said, I want to point out that there were several things with the Oorah track that were done differently than would be done in a regular made-for-market CD. Firstly, I didn’t have a free hand at taking as many hours as I wanted to make sure the vocals sounded like I would have wanted them to. In addition, the mix and the recording of the music -like the vocals – were done in a rush. It was a last minute deal that had to be finished on very tight deadlines whereas the music you hear on the CD, we had the luxury of being able to take hours and hours on every aspect of the production to make sure it came out how we wanted it to. MtS: Many agree that “Bayis Neeman” is one of the best debut albums we’ve seen in a long time. This album thrills from the first listen and only gets better after that. Obviously, lots of hard work went into this and some of the top talent in the Jewish music industry were involved. Perhaps you could share with us a little background on what went into making this album? YW: Producer Gershy Moskowitz heard me here and there and he came to feel that I have potential. About Rosh Hashanah 5768 we had a couple of meetings and we decided to go ahead with an album. We decided on the general heymishe-chassidishe direction of the album and we went searching for songs. The song picking was probably the hardest step in this project. Gershy and I spent countless hours going through hundreds of songs before we came to the final selections featured on the album. We had meetings with Baruch Levine, spent hours with Yossi Green and went digging through a hundred or so songs from Meshulam Greenberger. We went searching for all kinds of new people. Gershy has worked on creating contacts with many new composers, including Motty Ilowitz who composed the “Bayis Neeman” the title track. Almost from the outset we felt that Shua Fried would be the best match for the musical arrangements. He is one of my best friends, and interestingly it was music that formed our friendship. We both shared a very similar taste in music and because of that we connected in Yeshivah and became very personal friends, so it was very natural to choose someone who could really share my vision of the completed album and help us achieve it. Last but not least was the very important involvement of Yossi Tee (Associate Producer, Yossi Tyberg). His guidance throughout the process of making this product was truly invaluable. Besides for his incredible understanding of music and the processes involved in making an album, he is a true friend and a real mentch. The result we got would most certainly not have been possible without his valuable constant input. MtS: How did the Motty Ilowitz connection come about? YW: That came about through Gershy’s brother Moishy, who is a friend of Motty. Actually, I am the first person to ever buy a song from Motty, but I was quickly followed by Lipa and many many others. Motty also wrote the lyrics for Lecha Dodi. He is a truly talented songwriter and I’m sure we’ll be seeing plenty of him on upcoming Jewish music CDs. MtS: “Bayis Neeman” – and your style in general – has a markedly “heymishe” Chassidic feel but yet was polished and mainstream enough to attract a fairly wide following within the Jewish music market. Who was behind the concept for this album and how was the project nurtured into the well rounded album that resulted? YW: Gershy and I came to the conclusion right by the first meeting that we were going to do something heymish but in top notch quality, something which I think no one has really taken the risk in doing before. Once Shua (the arranger) got the songs, he really found the right feel and did a phenomenal job in bringing music that’s authentic and has the heymisher feel, but yet is real quality music that can go neck-to-neck with the work of any other arranger out there. MtS: I imagine it was risky to embark on a project that is so unlike what most of us are used to in an album. When you and the producers began to work on this unique album concept did you feel there were risks involved and, perhaps more importantly, why do you feel that these risks taken ultimately paid off with such a mind-blowing product? YW: Besides the sales, which are, bechasdei Hashem, very very strong, there’s a certain sense that you get that people appreciate and relate to what you did. Within a few weeks of the CD release, the phone calls and emails I was getting were simply unreal. Many many people called to say how they feel that this is a CD that can be brought into every single Jewish home – even the very very chasssidisher and Frum homes, who are makpid on not allowing any secular influence into their homes. Most importantly, when a person tells me that he was uplifted by a song, or he was moved by a particular song, there is no words that can describe that feeling of “BARUCH HASHEM – we did something good!” On individual, who is looking for shiduchim, came over to me one day and told me that I cannot imagine the Chizuk he gets from the words “Veyizku Livnos Bayis Neeman”. Another person, who had various hardships r”l, came to me and told me that I the song “Emor Letzaroseinu Dei” gave incredible Chizuk. Some People were moved by the song “Tamachti”, others by “Acheinu”, many from Lecha Dodi. Going back to the original question – yes, we certainly did feel that there were risks – we were working on a heymisher CD but investing the kind of money that would go into a mainstream CD. Happily those risks have paid off in terms of sales and certainly on an emotional level. Why did it pay off? Maybe a part of it was the great team and the hard work by everyone involved but at the end of the day I feel we just had incredible siyata dishmaya – Gershy, Shua, Yossi Tyberg and I – that we were able to produce a product with a result that found “Chein” in people’s eyes. MtS: If there is one person who has most formed your outlook on life in general and Yiddishkeit in particular, who would you say that person is? YW: Sometimes a person can point to one individual person or event and say that this is what formed his outlook on life or on Yiddishkeit. However, in many cases – such as mine – one is lucky enough to have an outlook that is formed by a collection of many moments, many people and many Rebbes. It is hard for me to point out anything specific – I was lucky to have many amazing influences in life. MtS: I’ve always been a big fan of your father’s work (R’ Mendy Werdyger). He seems to have a very down to earth, humble and honest style that I always found appealing. He is never trying to be anyone besides for Mendy Werdyger. It would seem that your father’s sensibilities have B”H rubbed off on you and I think that is a big part of who you are as well as of the success of your music style. On those lines, please tell us a little bit about how your father has affected your outlook on life in general and your music style in particular? YW: My father was always an incredible role model to me in everything. His torah his tefillah and the whole picture around and around is something I only look up to and try to emulate in my own small way. His love and passion for music is something unreal. We share a very very similar taste in music in general. More accurately, it was through my father that my taste of music developed altogether. As a child, catching a ride in his car even for 2-3 blocks was always a treat because there was always sure to be some quality music playing – something new to absorb, another concept, another artist, another great song. His musical knowledge and understanding of the way a song and/or arrangement should be built is something that amazes me still today. MtS: You’re no doubt fully aware of the great impact your grandfather, cantor David Werdyger Shlit”a, has had as one of the pioneers of Jewish music as we know it today. Perhaps, for the benifit of us “outsiders” who don’t have the zechus of addressing him as “Zaydie”, you could share with us a little story or tidbit or maybe the thing about him that you find most inspirational? 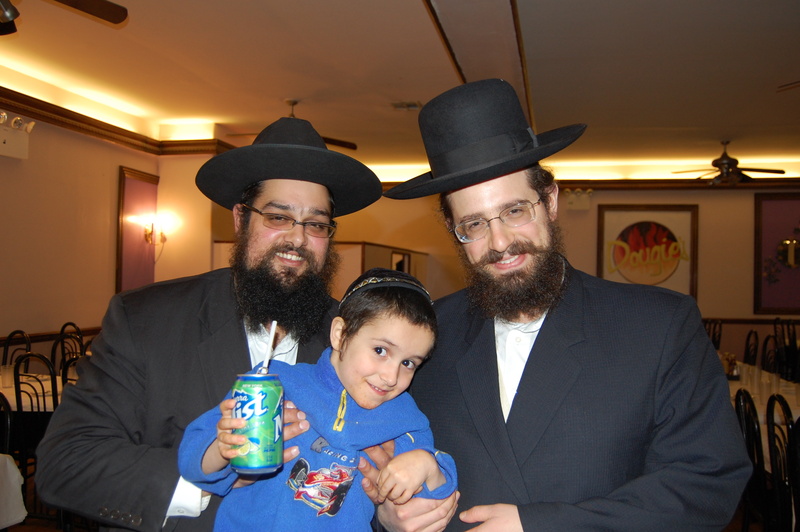 YW: I used to accompany my Zeide to shul many times as a young boy and I used to sit by him during the davening. It was always a very special feeling to sing with my Zeide. He was and is still is very particular with anyone that goes even slightly off the melody. My Zeide’s Will and desire to live, to accomplish and to conquer all obstacles, is absolutely astonishing. To this very day he’s always striving for more and never gives up. MtS: As we touched on before, Bayis Neeman features some of the finest work from some of the very best that the Jewish talent pool has to offer. From song-writing to the arrangements to the musicians, it was obvious that the skills of “the cream of the crop” were tapped for this album. Perhaps you could share with us a little about some of the people who were involved. What was it like for you to work with all of these amazing people and watch the album take shape in their able hands? MtS: I shared some very special moments with Yossi Green, Baruch Levine and Lipa. With some songs you just hear the song, you like it and you buy it – next case. With the aforementioned composers it was different. I had a whole sitdown with Yossi Green and he actually composed the songs while I was there. It was a freezing night, like zero or below zero, and i went to his office to meet. He usually composes at his home but for some reason he told us to come to his office. It was FREEZING. And after he composed Ki Hidlakti we decided to go for a Tantz Niggun to warm up our cold bones. It was one of those moments one does not forget. 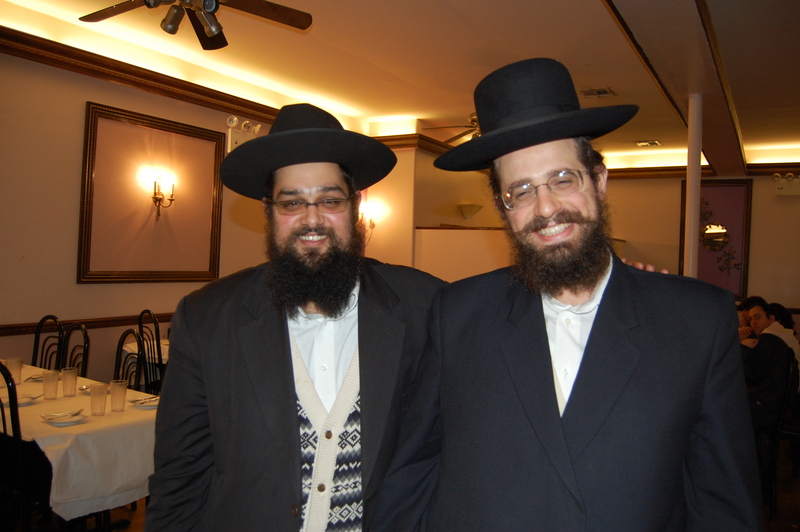 With Baruch Levine I met in Boro Park, we went over the Lecha Dodi song, and tweaked it. Lipa gave me his song in person on the night the big concert was supposed to take place. I was also lucky enough to be present when the rhythm section was recorded and got to know the players firsthand. We really had a blast during the recordings. These guys are a bubble of energy and super talented. With Shua directing them it was really something unique. MtS: Something I touched on in the JMR CD review was the sound quality of the album. Having a little bit of background in recording, I was all the more impressed at the care that was obviously taken to capture the full ambient resonance of every live instrument. In particular I found the rhthm section to be of a level seldom seen in Jewish music albums. I was hoping you might be able to enlighten us on what went into the recording, mixing and mastering that produced such superior sound quality. YW: A lot of the credit for that goes to Shua Fried. He made sure that the recording should be of the finest quality. And of course it has to do a ton with the mixing. Ilya Lishinsky is the king of Mixing and mastering. MtS: Finally, I think we’re all wondering..what’s next for Yisroel Werdyger? Is there a follow up album in conception? Any upcoming performances or plans that you could share with us? YW: There is definitely a lot of talk about another album. Nothing concrete yet. Truthfully, I’m still recovering!!!!!!!! Baruch Hashem I am quite busy on the Chasunah scene and I have a number of performances in the US and abroad, Chasdei Hashem.